If I ever have my own farm, I think I want to focus on some kind of value added product. This article has me gunning for dry-cured meats. 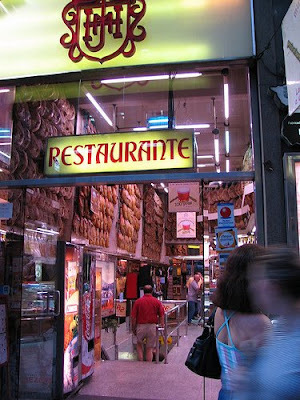 I can still remember with joy the Palacio de Jamon and Museo de Jamon in Madrid, and the thin flavorful slices of pink goodness. And wouldn't it be awesome to produce my own amazing version of this Jamon Iberico Bellota selling for 105 euros per kilo? Apparently Bellota hams command such a high price because the pigs forage for acorns and producers must provide at least one hectare of land per pig. 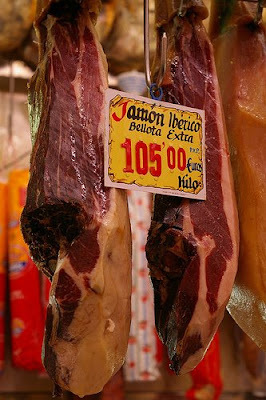 According to this article, the first whole Iberian Jamon de Bellota hams were imported to the US only in 2008. Just this January, less than a year after their arrival, they've come up against US import restrictions which will required that the hams signature black hooves be removed for "food safety" reasons. Boo. A quick Google search doesn't help me figure out whether I could procure Iberian piglets somehow in the states. I did find three postings on ag-search sites from folks looking for their own acorn-eating porkies. On the other hand, maybe I'll try to go into cheesemaking (passe!) 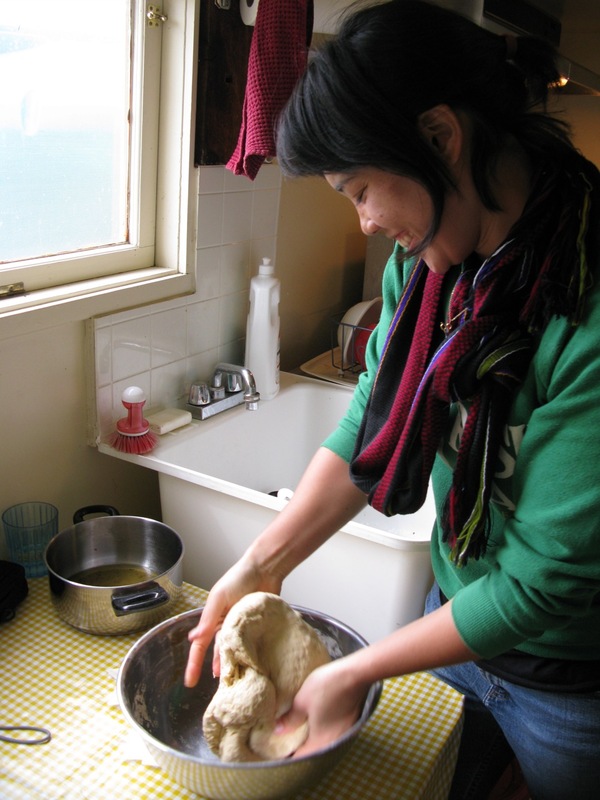 or fermentation of my own fresh produce (too trendy!) or hard wheat to sell into a local market. Ah, the joys of dreaming. Fancy ham sounds very tasty right now. I'm on a diet and always hungry. Let's buy a farm where I can raise oak trees for the acorns and the wood and you can raise your fancy pigs! Okay. If you're serious, I'm serious! I was actually thinking about that the other day and wondering whether the oak trees you'd grow for wood would be the same for piggy acorns... I am going to look into this. What kind of oak is good for lumber?